We would like to introduce you to a cigar this time. 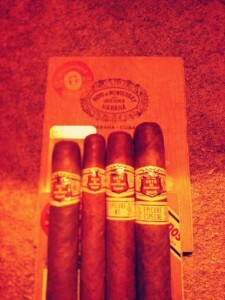 It is a Cuban-made cigar called Hoyo de Monterrey. 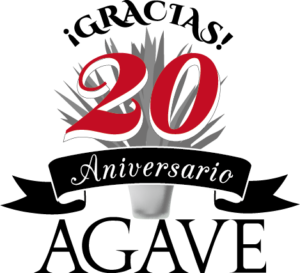 The brand name “Hoyo de Monterrey” derives from the acquisition of a farm in Vuelta Abajo back in 1865, which then produced the best-quality tobacco. Its taste is often described as the king of Havana, with the delicate mild aroma feeling largely supported by cigar-lovers all around the world. 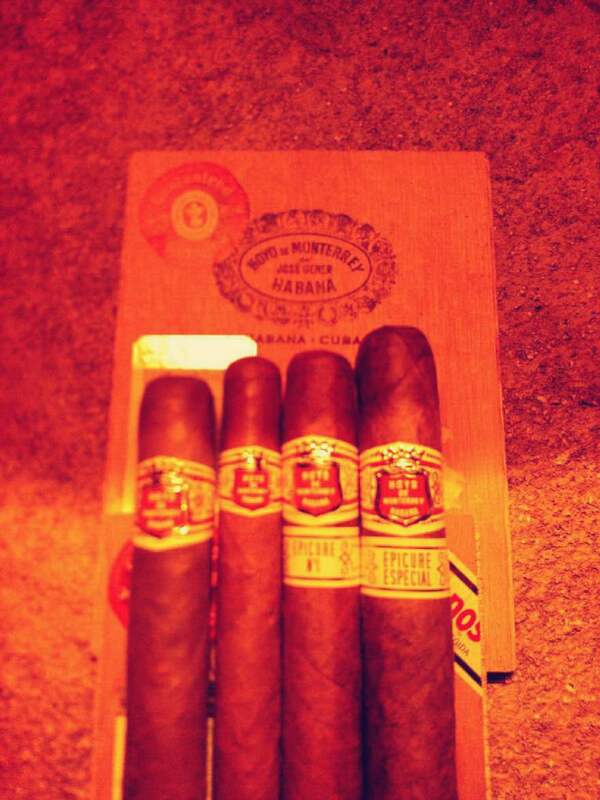 The Hoyo de Monterrey series as a whole has a light flavor and can therefore be recommended to beginners and women. Please enjoy a “cigar time” with tequila.